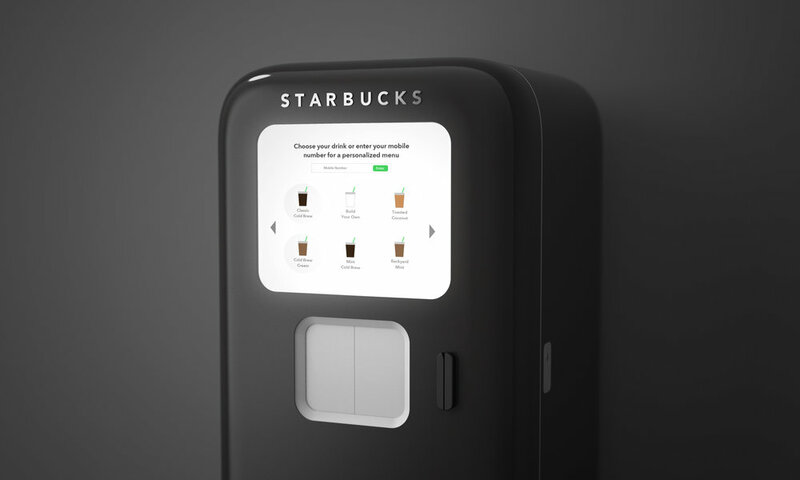 Vend is a concept pitch prepared for Starbucks to explore new sales channels for their premium coffee ranges. The two concepts are designed around popular flavored iced coffee drinks and their Reserve brand. The vending machines allow Starbucks to serve coffee in new locations such as parks, retail, and high foot traffic areas. Design concepts and business casing. 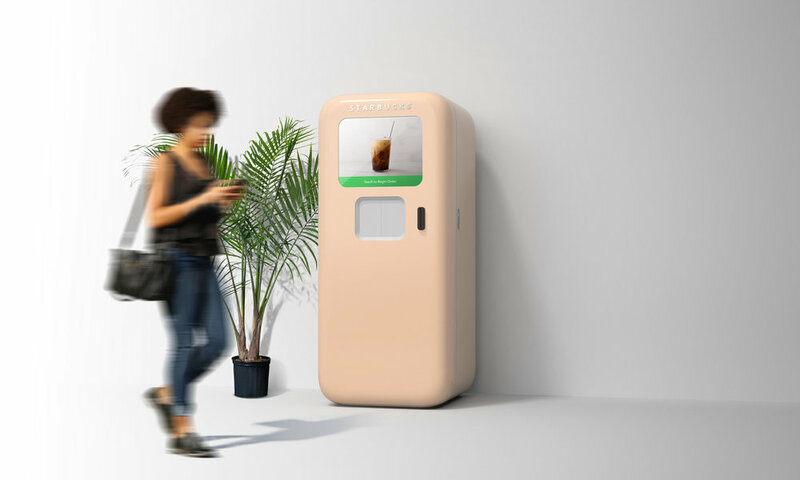 The ColdBar is a vending machine that serves customized iced coffees. Users can customize the coffee brew, creamer and flavor additions. The reserve vending machine dispenses single serve pour over coffees on demand. The large window highlights the brewing process and draws in customers. Designing a large product required making large sketches. I mocked up the concepts with tape drawings on the wall and printed elements that I could easily move around to make sure the ergonomics and screen size were correct.